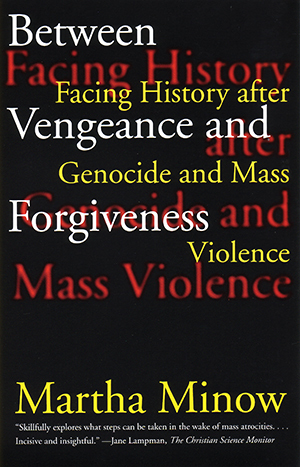 The rise of collective violence and genocide is the twentieth century’s most terrible legacy. Martha Minow, a Harvard law professor and one of our most brilliant and humane legal minds, offers a landmark book on our attempts to heal after such large-scale tragedy. Writing with informed, searching prose of the extraordinary drama of the truth commissions in Argentina, East Germany, and most notably South Africa; war-crime prosecutions in Nuremberg and Bosnia; and reparations in America, Minow looks at the strategies and results of these riveting national experiments in justice and healing.